The Serdi were a Celtic tribe inhabiting Thrace. They were located around Serdika, now Sofia in Bulgaria, which reflects their ethnonym. They would have established themselves in this area during the Celtic migrations at the end of the 4th century BC, though there is no evidence for their existence before the 1st century BC. Serdi are among traditional tribal names reported into the Roman era. They were gradually Thracianized over the centuries but retained their Celtic character in material culture up to a late date. The Serdi struck coins imitating various Macedonian issues. 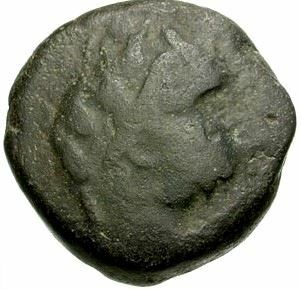 Like other Celtic coinage, the imitations were not meant to be counterfeits but were used as local coinage.